Cyan, the American development studio based in Mead, Washington, has left a significant mark on adventure games. Genre fans will surely remember classics such as Myst and Riven. After focusing for a few years on mobile/online games, in November 2013 Cyan launched a Kickstarter campaign to create Obduction, a spiritual successor to Myst and Riven. The project received $1,321,306 in pledges and, after three years of development, it launched on PC last year. 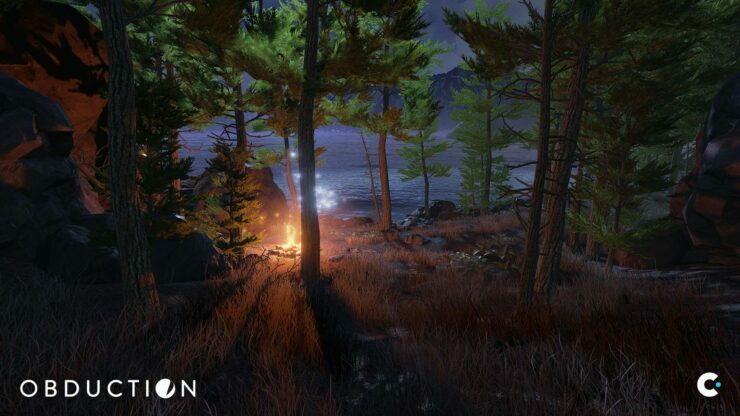 Francesco reviewed Obduction for Wccftech and rated it 8/10. Obduction manages to capture what made Myst and Riven such great adventure games with an amazing atmosphere, mysterious story and challenging puzzles that engage players from the very beginning. With no hand holding whatsoever, Obduction can be a frustrating experience at times, but the desire to learn more about the game’s world and events propels things forward. Unfortunately, several bugs and glitches currently found in the game damage the experience a bit, but if you can cope with them, Obduction can be a very rewarding adventure title. The game will debut on console tomorrow, though, specifically on Sony’s PlayStation 4 (a PlayStation VR update is also planned to be available at a later date). We took this opportunity to have a brief chat with Cyan’s Ryan Warzecha, Producer on Obduction. Are you fully satisfied in every way with Obduction in comparison to your original vision for the project? Is there anything you’d do differently if you could go back now? Our original plans for Obduction were a bit larger than what the game ended up being, but we’re really happy with the finished product. If anything, we wished that we could have had a simultaneous initial release on consoles side-by-side with our PC version of the game. The game was funded via Kickstarter. Do you intend to pursue the same method of funding for your future projects at Cyan? While the Kickstarter landscape has changed in the past few years, we are looking at Kickstarter / other crowdfunding platforms for future Cyan projects. What are the odds that you’ll eventually create a sequel for Obduction? Do you have an ETA on the 1.6 update? Will it include further performance optimizations? Our 1.6.0 update is targeted for mid to late October, and it will include performance optimizations for both non-VR and VR gameplay. Did you have to make any major sacrifices to bring the game from PC to the base PlayStation 4 hardware, in terms of graphics, performance etc.? The PS4 version of Obduction will run on fairly high settings on a regular PS4, so we thankfully didn’t have to make any major sacrifices to get the game running well and looking great on the PS4. It’s a great console that can handle quite a lot of what we’re asking of it to. We did have to be a bit more careful with memory usage but that really shouldn’t affect gameplay. Unreal Engine 4 now also offers full support for platforms like Microsoft’s Xbox One and Nintendo Switch. Are there any plans to release the game on these systems in the future? We are totally open to releasing Obduction on as many platforms as possible using the resources we have.